6) Wait for the process to be completed. 8) The computer may automatically open up the Read Me Page. You can close the window for now. 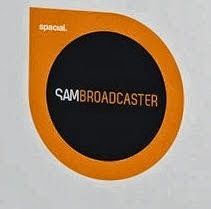 9) Run Sam Broadcaster Studio Program. 10) The setup window pops up. 12) Login details for FireBird database. b) Default Sound FX and Demo files. 18) The program requires you to Unblock your firewall. You may get screen display warning. If you got it, change your screen resolution to the recommended resolution. You may disable tips window by deselecting the checkbox as shown below. Initially you may get a blank window as follows. 22) Go to menu Layout and select the suitable layout.